QUEZON CITY (MindaNews/11 October) — With today’s trend of Filipino heroes, their lives and struggles, depicted or made into films, as shown recently in “Heneral Luna;” and few years ago, in “Gregorio del Pilar,” in “Jose Rizal,” and many others, it brings to fore the condition or state of affairs particularly the consciousness of Filipino youth about Philippine history including their perceived decreasing interest on the lives of national heroes, many of whom belong to educated class of Illustrados during the Spanish era. Malacañang was quick to cajole students exhorting them to deepen their understanding of Philippine history. We don’t know why the rush to tout students’ insufficiency given today’s perceived national malaise or widespread lack of understanding and heedlessness on Filipino heroes’ ideals and values. In fact, the question of who should become more adept with history should be taken in context. Whereas students could err with facts of history, many Filipino politicians have long erred with values of history – values that are supposedly enshrined in the feat and struggle of those who chiseled Philippine history with their blood and tears particularly those brave souls of the Illustrados who fought valiantly the preservation of Filipino freedom, justice, and independence. Therefore, it should not simply be students and the rest of Filipino youth that should be told to take to heart Philippine history as it can be remedied quite easily. But the perceived deconsecrating of values among Filipino politicians away from the ideals of Filipino heroes is difficult to address, as gap continuously widens between ideals of Filipino heroes and today’s conduct of Philippine politics notwithstanding the worsening graft and corruption among government officials amid manifold and accumulating social ills. Moreover, the fact that Filipinos began to entertain “People Power Revolutions” like EDSA One, EDSA Dos, and so on, shows that the foundation of past revolutionary ideals laid down by Philippines’ great founding fathers is already inadequate to animate today’s Filipinos especially their leaders and politicians and so on. In different but critically important angle, while the trend of reifying Filipino heroes through film is going on, as observed, the same appears as increasingly stale and bland among Muslims in the Philippines. Likewise, there is observably widespread disinterest among Muslim youth to know the lives of Luna and Rizal and so on. To begin with, I think it is not right for Muslims to wholly develop disinterest on Filipino hero issue and other attendant subjects on Philippine history, although we understand where the indifference is coming from. Apart from they partly owe to those heroes their relative freedom today, Muslims have to know that values and principles those Filipino heroes struggled for reflect universal values and are thus worthy of being learned by anyone including Muslim themselves. Again, it is understandable why the subject about national heroes is becoming less palatable to the Muslims. Well, for one, how can they be expected to like Philippine history particularly stories of Filipino heroes when the ones who should primarily be informed and consistent with those heroes’ ideals are the ones generally desecrating them? We’ll try to give ample time on this issue today and in our future khutbah or discourses. As a background, allow me to set the frame of our thesis. When we say there is a need to learn from struggles of many people and the need to reflect on their thought and ideals with which their leaders fought for, it is to recognize the fact that those thought and ideas come from higher source reflecting what Thomas Carlyle referred to as “spark” in the formation of “universal history,” wherein underneath of which is the history of “great men” known popularly as heroes. For our sake, this point of Carlyle is not difficult to draw inspiration with that of the Qur’an’s particularly the notion of darajat or ranks among men that is socially differentiated and would usually come to fore in critical phases of history. This is the universal view of the Qur’an regarding the rise of great men – those people who have been bequeathed with higher darajat or rank in many periods of history. Their rise is usually precipitated with varying social factors and forces that allowed them to inseminate history thus making them in the language of Carlyle the “lightning” that creates fire with fuel. The hadith of Prophet Muhammad (SAW) regarding the rise of leaders is that they are not only moral imperatives but they emerge almost naturally like shepherd responsible for its flocks. Leaders are usually those groups of shepherds who rally people to struggle and stir them to create a new beginning in their society. When we quote quite frequently Thomas Carlyle as we had underlined the same frame when we raised him in our other khutbah like the cases of Nelson Mandela, Lee Kwan Yew, and to some extent, Imam Khomenei as unique “lightning” of their times, it is because the work of Carlyle about Great Men or heroes is a classic. It was delivered as a series of lectures in London in 1840. Coming generally from the class of Illustrados, the generally educated elite of Indios – a term they transformed to Filipinos – their lives and their works are indeed exemplar of people who had attained darajat as shown in their masterful philosophical and moral conception of precepts, the brilliance of their discourses, and the courage they showed with their lives and struggles. In other words, it is they who provided the political and moral foundation in the formation of the Philippines as a nation with which succeeding generations of Filipinos should have taken into heart. But with the passing of time and with the recurrence of general malaise as shown not only in decreasing interest and understanding among youth and students on the lives of those heroes, commitment to the ideals and aspiration that they struggled for seems to be waning day by day. How pertinent and powerful this counsel of Mabini’s Decalogue; it speaks current malaise as many national leaders and politicians have long failed to distinguish the higher interest of the country with that of their generally self vested interest with the proliferation of political dynasties in practically all parts of the country. How powerful this thought of the “Supremo” who was mercilessly killed by his compatriots – well, through the order of his rival! Indeed, reading Philippine history and the stories of Filipino heroes requires broader appreciation of facts and contexts including their pitfalls, weaknesses, imperfections, vanities, arrogance, and excesses. Even as people treated those heroes or have divinized them close to demi-gods, truth is, they are human beings, subject to what the Qur’an refers to as moral pendulum of nafs or ego. Finally, today’s politicians would certainly benefit with Jose Rizal’s undying “Mi Ultimo Adios” (My Last Farewell). The key word in this thought of Rizal is his description of themselves as leaders of Reform Movement as “flame;” in a sense, they were the “lightning” that inseminated that moment of history in their time. For those of you who have not yet read Carlyle’s, it might surprise you that in the survey of Carlyle of “Great Men” in varying epochs of history, he singularly identified Prophet Muhammad (SAW) representing the line of prophets. We could probably ask Carlyle why of all prophets, he singularly chose Prophet Muhammad (SAW): why not Prophets Abraham, Moses, Jesus (peace be upon them all)? Carlyle is obviously not a theologian. Thus, our question is not Carlyle’s question, although he presents partly some answers to it in his lecture. And to answer it is not our concern either this time. From certain perspective, some Muslims might not take it well with Carlyle placing Prophet Muhammad (SAW) in the same standing with that of Shakespeare, Napoleon, and so on, given the exceptionally unique role of Prophet Muhammad (SAW) in continuously animating close to 1.3 Billion people until these days. On the contrary, the same can be said with Carlyle’s other “Great Men;” they have their influences too, albeit in varying degrees and impacts. What must be appreciated with Carlyle is that he must be quite unconventional in his time, as those days were the starting period with what Edward Said characterized as “Orientalism,” the main content of which is the rise of Occidental ideology espousing sheer antipathy against Islam and the East, her philosophy, culture, and so on. But we are digressing quite far from our point. What we would like to emphasize about Carlyle’s is that even how checkered people or nation’s history is, by employing objectivity in understanding, one has much to learn as it reflects “universal history” whosoever the “great man” who comes with it. Moreover, Carlyle views great men or heroes not simply in the way a nation or state creates them. For Carlyle heroes can be product of myth; their exemplar in the field of poetry; in kingdom, in literature, and so on, as we previously mentioned. The point is Carlyle must have been amazed with the role of Prophet Muhammad (SAW) in serving as the lighting of Islam and the Muslim world since then until his time in the 19th century. As shown, the advent of Prophet Muhammad (SAW) was the peak of jahiliyyah or ignorance in pre-Islamic Arabia. In relatively similar vein, the 19th and 20th century in the Philippines were periods of deep historical crisis when, viewed from Khaldunian prism, Spanish colonialism has reached its last phase. It thus triggered the realization by Illustrados to struggle against their mother country. Yet, as their struggle was about to ripen, it was nipped at the bud with the rise of Pax Americana imposing new colonial order that was quite fresh and would eventually make itself entrenched in the Philippine Islands for another 50 or more years. It crippled thus the early struggle of Filipinos for freedom and independence. What we are saying is that, it is in those crucial periods where great men, leaders of high darajat rose up. This is, in our view, the same pattern that happens, too, in other communities, in other countries, in other regions of the world. 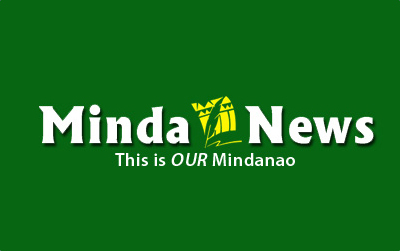 [MindaViews is the opinion section of MindaNews. A khutbah (first part, with revision) delivered at the UP-Institute of Islamic Studies, on 09 October 2015. Julkipli Wadi is Professor of Islamic Studies, University of the Philippines].